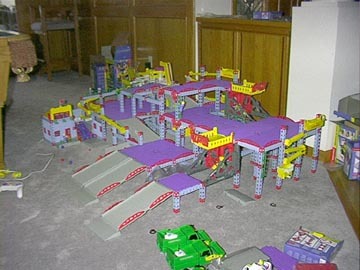 New additions to the Rokenbok family arrived July 22, 1999. 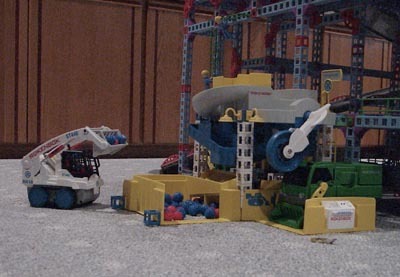 The RC Skip Track is a front loader that lets you drop balls from higher than the other vehicles, while keeping the vehicle small and nimble. It's a fun little vehicle, but it is a little too easy to accidentally unload the scoop making turns around rails. Stay tuned for a new setup integrating the new pieces. 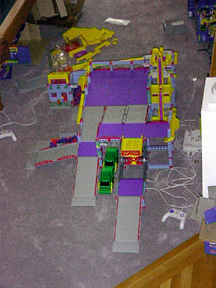 These photos from July 22, 1999 show the 3 down-a-vator setup that we've had up for the past several months. 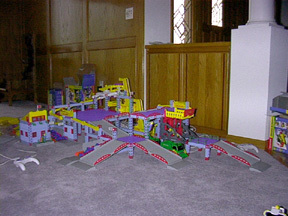 Tom's Rokenbok layout as of January 25, 1999. 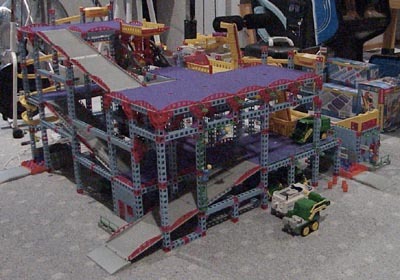 The latest additions are a sorter and a second conveyer, with one conveyer feeding into the other. 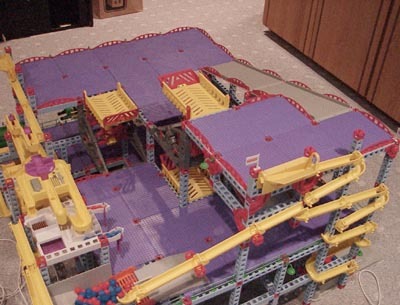 Also new is a "Down-A-Vator" that makes for a fun way to bring equipment down from the upper levels.